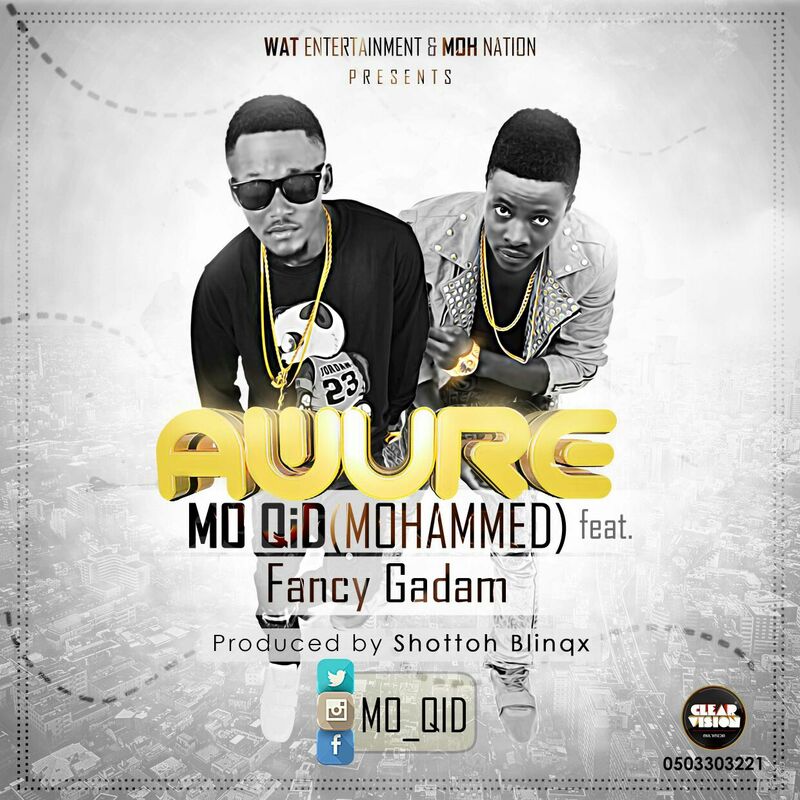 After going on the low for some time, ‘MO Qid ’ previously known in the Ghanaian music industry as ‘Mohammed’ is back with a brand new song that will keep everybody dancing. A staunch member of Sarkodie’s Rap University who has worked on numerous successful projects including collaborations and featuring with the likes of multi International award winner Sarkodie among others released the song few hours ago to officially announce his comeback. ‘Awure’ is an Afrobeat song featuring one promising act ‘Fancy Gadam’.The song was produced by Shottoh Blinqx, the master craft behind Gallaxy’s hit songs including Boko Boko which earned them nomination in the category of Best Music Group at the 2014 4syte Music Video Awards.